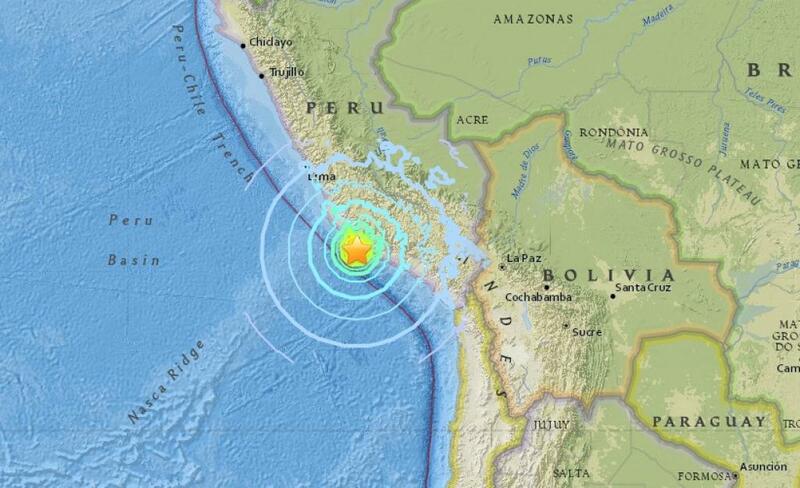 An earthquake of magnitude 7.1 hit southern Peru today at 4:18 AM local time. The epicenter, according to the United States Geological Survey (USGS), was 40 kilometres south-southwest of the small town of Acari in the Arequipa district. The quake happened at a depth of 12 kilometres. While the Peruvian maritime authorities confirmed that the earthquake did not produce a Tsunami on the Peruvian coast, at least two people have been killed, 65 injured amidst reports of power outages and collapsed houses. Less than a week back, a monster earhquake of 7.3 magnitude had hit the Caribbean nation of Honduras.